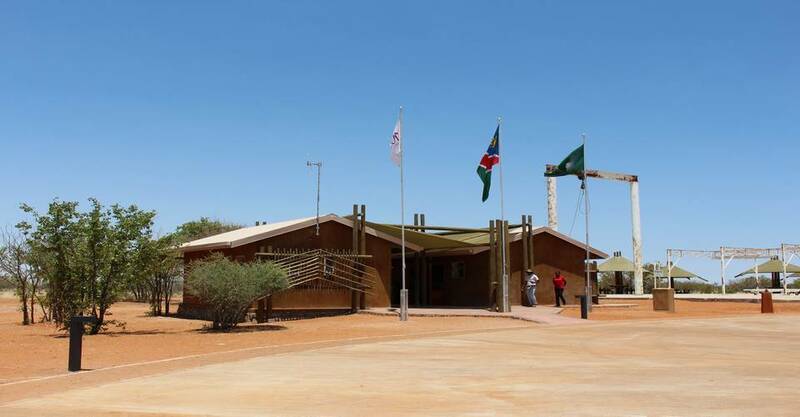 Olifantsrus is the new campsite in Etosha National Park. Located in the Northwestern part of the park between Okaukuejo and Dolomite Camp. Olifantsrus Campsite is a campsite only; there is no accommodation available here. There are ten campsites each taking a maximum of 8 people. A hide is overlooking the human-made waterhole at the campsite. 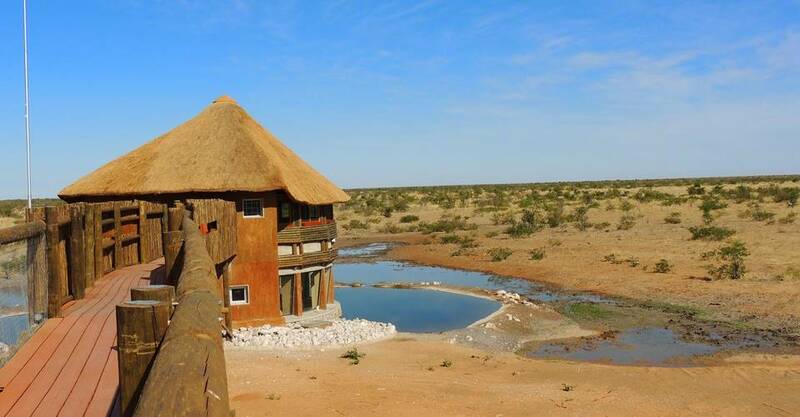 The hide offers a unique game viewing opportunity in the second story hut with aluminium glass windows. 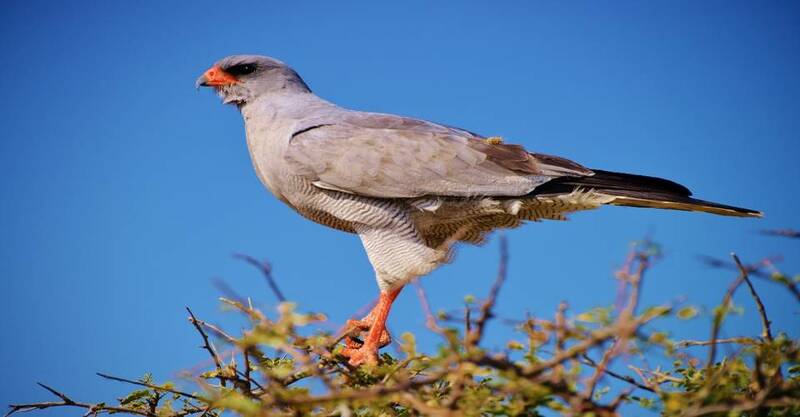 The Hide is at the waterhole so guests will be up close to the visiting game. 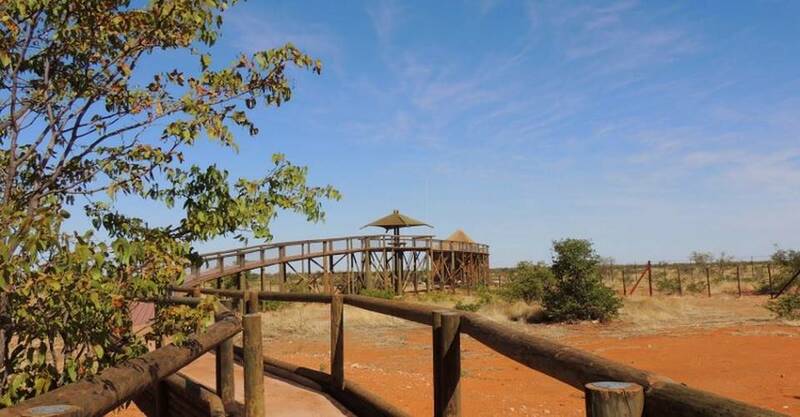 There is a wooden walkway from the hide that takes you to the campsite and provides a safe lookout point. 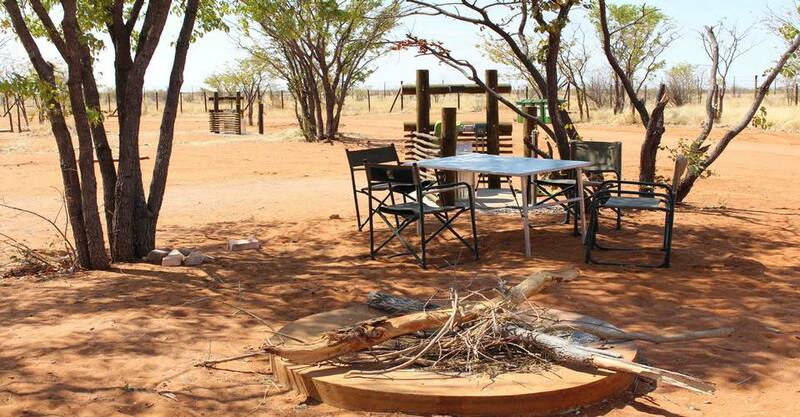 There are numerous waterholes around Olifantsrus Campsite making for excellent game viewing. Olifantsrus Campsite is home to fewer tourists in this part of the park. Most of the park accommodation is on the eastern end of the park. Location: Olifantsrus Campsite is about 130km from Okaukuejo, 50 km from Dolomite Camp and 60km from the Galton Gate. Communal kitchen with two plate gas stove and a fridge. Ablution blocks with hot showers and flush toilets. A small kiosk is selling beverages, light meals, snacks and cold drinks. Note that only cash is currently as payment at the camp until further improvements will notify the campers. Olifantsrus connects the route from the main camps to the west of the park. The road less travelled in Etosha. Nor commercial as of yet. The fantastic route through the park towards north-western Namibia. Price: N$ 350 per person per day. Children 6-12 pay half price and children under six stay free. 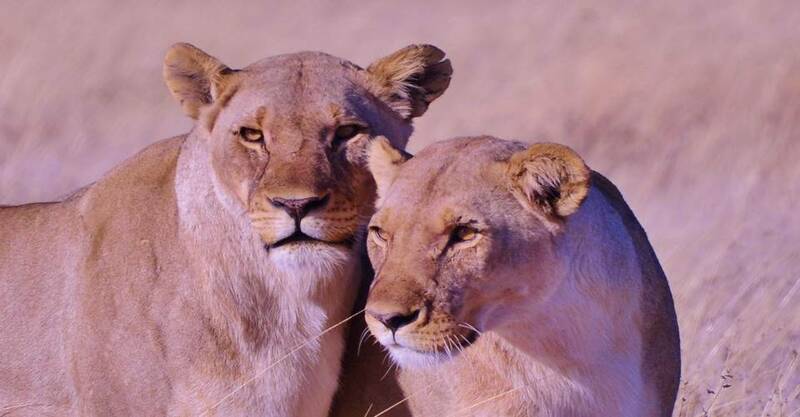 Namibia Wildlife Resorts would like to inform you that no plastic bags in the park within all Namibia National Parks. Therefore, the Ministry of Environment and Tourism personnel will remove any plastic bags that might be in your possessions. Help us fight the synthetic war.